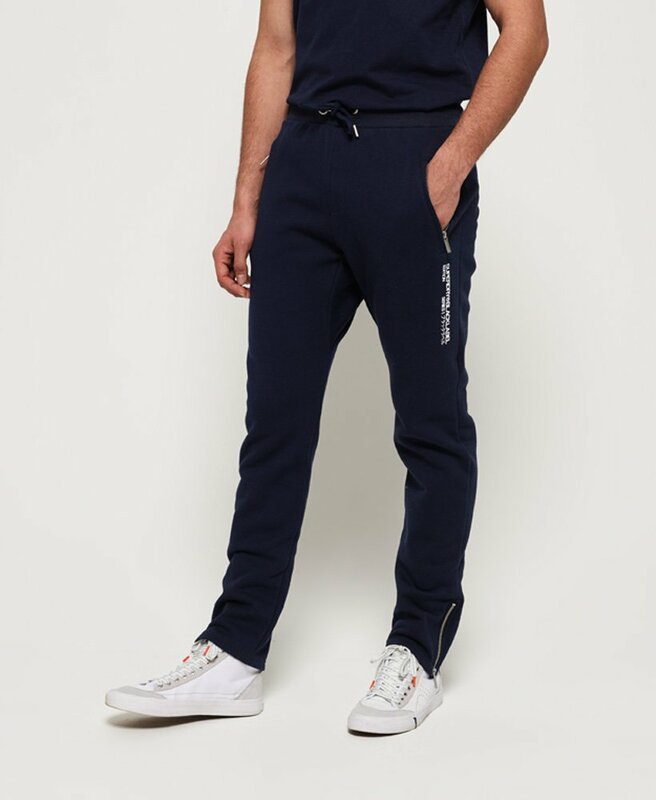 Superdry men's Black Label Edition joggers. These joggers from our limited edition Black Label range feature an elasticated drawstring waistband, super soft lining, two zip fastened pockets and zip fastenings on the leg. Finished with a textured Superdry logo down one leg and a rubberised Superdry Black Label badge under one pocket.